Another historic moment is set to take place in the female game this September when an expanded National Women’s League kicks off for the first time. The competition has existed in some format since 2002 with the country’s top female players battling it out for national supremacy. That will be the case again this year but the champions will be even more worthy, having played more games on their path to glory than ever before. Each previous National Women’s League season has consisted of a round-robin format with the sides playing each other only once, while post-season play-offs were introduced in 2004. That meant form had to be found quickly as a slow start could soon put sides out of the running. They will have longer to keep their hopes alive from now on though with the competition expanding to two full rounds, pitching the sides against each other both home and away. The revamped National Women’s League is set to get going on September 15 and the two highest-placed sides will progress to a one-off grand final on the weekend of December 15-16, the winner of which will lift the trophy. 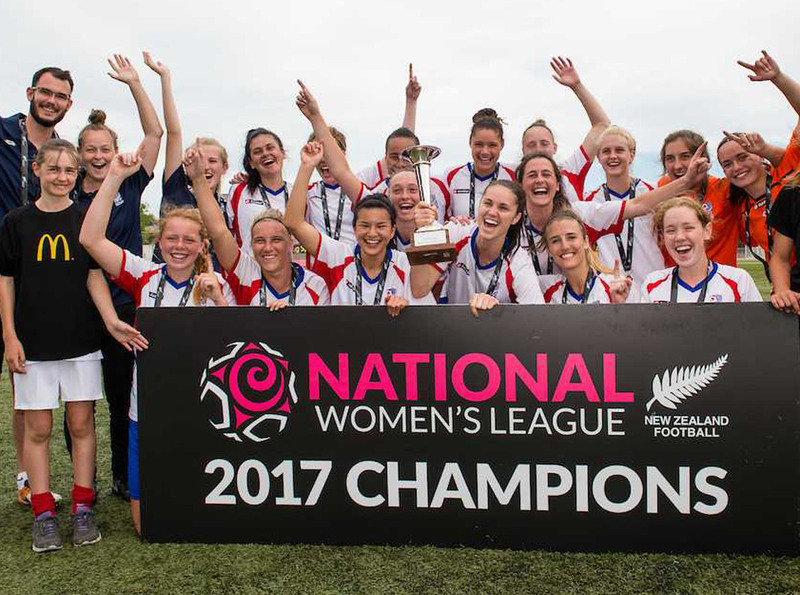 “This is developing into a landmark year for female football in New Zealand and it’s fantastic to be in a position to launch an extended National Women’s League that will provide an improved competition for the country’s best female players,” says Daniel Farrow, Competitions and Events Director for New Zealand Football. The expansion to a two-round format was arrived at as a result of New Zealand Football’s extensive review of its national competitions, released in the form of the ‘National Competitions Review – The Way Forward’. The purpose of the review was to identify the preferred national competitions structure that best serves the long-term interests of football in New Zealand and was completed over a two-year period, including consultation with all key stakeholders. The long-term outcome decided upon for the National Women’s League was for the competition to move towards being club-based but it was agreed it would take time for that to be implemented as further development in the women’s game was necessary. The current federation-based model would therefore be maintained for a further three years (2018, 2019 and 2020) while female football continues to grow and a wider talent pool is fostered. In the meantime, the competition would expand to two rounds and several options were put to the seven federations, with the majority favouring a format which included the need for a grand final and also supporting a fixture double-header over Labour Weekend on October 20-22. The expansion of the National Women’s League is further positive news for the female game, which has been in the spotlight recently after the announcement of a ground-breaking Collective Bargaining Agreement (CBA) between New Zealand Football and the New Zealand Professional Footballers’ Association (NZPFA). Significantly, the new CBA brings equity and parity for the senior men’s and women’s national teams and was swiftly followed by confirmation the Football Ferns would be playing on home soil for the first time in three years, when 2011 FIFA Women’s World Cup winners Japan come to Wellington’s Westpac Stadium on June 10. The country’s leading women’s knockout competition was also recently rebranded to the Kate Sheppard Cup to honour one of New Zealand’s most pioneering females while great strides are being made in introducing more women to coaching, including the establishment of the Female Coach Scholarship Programme. And it’s not just football that is experiencing such an exciting period with futsal, the small-sided version of the beautiful game, likewise going from strength-to-strength. There has been a 25 per cent growth in female futsal participation since 2016 while those players being introduced to the game now have a clear pathway to the top after the inception of a Futsal Ferns side and U-18 national teams in both genders. New Zealand has an opportunity to make its mark on the women’s game internationally over the coming months with the Football Ferns about to embark on their qualifying campaign for both the 2019 FIFA Women’s World Cup and 2020 Tokyo Olympic Games while their younger counterparts will compete at the U-20 and U-17 World Cups, held in France in August and in Uruguay in November respectively. A New Zealand selection will also travel to Kazakhstan in August for the FISU World University Futsal Championship. “These are hugely exciting times for female football and, as the country’s flagship women’s competition, the expanded National Women’s League will have a key role to play in furthering this growth,” Farrow says. A draw for the 2018 National Women’s League is yet to be conducted and will be released in due course. Next Post"Ladies, cross the barrier"